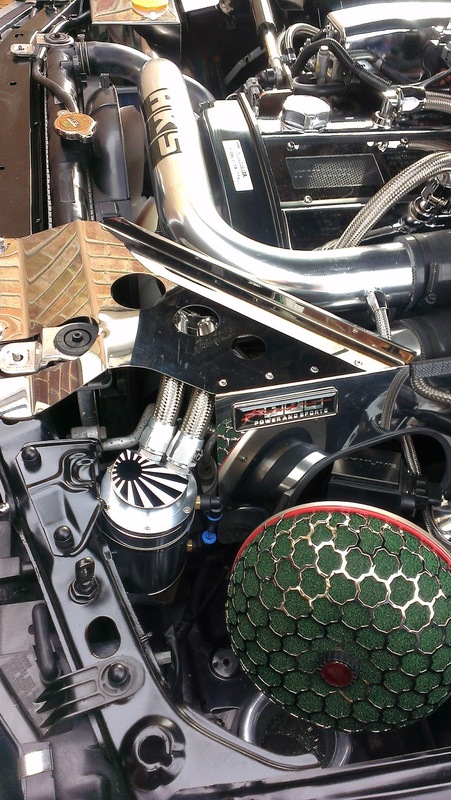 An Oil Catch Can Tank is a simple device that benefits countless types of vehicles whether they are boosted with turbo or supercharger and normally aspirated vehicles can benefit as well. To explain it simply, an oil catch can tank is a reservoir, or filter for pipework or PCV (Positive Crankcase Ventilation) coming from the valve covers. There is also a Breather line associated with the PCV line. Both lines function together for the PCV emission system to work. When one side is positive pressure, the other side is negative pressure. So why does somebody need an Oil Catch Can Tank ? The reason is, that the valve rings do not create a perfect seal. If they did the pistons would not be able to move up and down. Because there is a tiny gap between the cylinders and the pistons, a little bit of pressure is able to escape into the valve cover area. At the same time burnt oils are also escaping into the valve cover area. This is called "blow by". This stuff is nasty and does enter the valve cover area and will escape into the PCV line and Breather. The PCV line will recycle these burnt solids back into your manifold which will increase the level of carbon solids, and reduce your octane levels. For a boosted setup with turbo and supercharger, the Breather line will recirculate some of these oils into the intake which will go into the intercooler. Of course, the intercooler works best when the interior surfaces are nice and clean. When the breather line returns any fumes with oils into the intake, this will start to coat the inside of the intercooler with oil, and reduce the heat exchange efficiencies. So, the simplest solution is to insert an oil catch tank can into each line, this gives these heavy oil solids a place to enter and pool. There are many shapes and sizes, and even different configurations which are closed-loop, and open loop. If you search the Internet, repository of much good and some terrible information. You will find that there are many differing opinions on forums about open and closed systems. Additionally there are quite a few opinions on if catch cans do anything at all! The way I see it is that they can't hurt the system and indeed, if the can does actually 'catch' some oil then it will have proved it's worth. The biggest problem for fitting a catch can was finding a location for it, many R33 owners tend to place it by or indeed, on the fuse box cover. I have also seen Spec one engine bays, with it fitted at the right hand rear, although this only works if you don't have ABS fitted as standard (I do). So what to do? In my case I decided to 'lose' the carbon filter and opt to vent the fuel tank to atmosphere (Why make things easy?). Looking at the filter in situ there are two hard pipes that wind their way towards it, these then connect to rubber pipes etc. that attach to the carbon canister. Put simply, the canister has an entry (the top) and exit (the bottom) the exit winds it's way out through the bulkhead. So simply disconnect the carbon canister, remove it from its bracket and place to one side. The two hard lines that are left need to be connected together again and joined to the 'T' piece that vents to atmosphere. As you have to cut the hard pipe to get a decent looking job, the hardest part is actually 'thinking' about what your doing! You have to remove the upper hard pipes from the Inlet Manifold and the throttle body. Blanking them off or plugging the pipe with a screw (if your a savage). 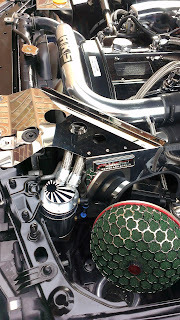 The (now free) Carbon Canister bracket was the ideal solution on to how to fit the catch can and I decided that a small round can would squeeze into the newly created hole in the engine bay nicely. I have included a picture of a round catch can, so you can see what you actually get in the box. 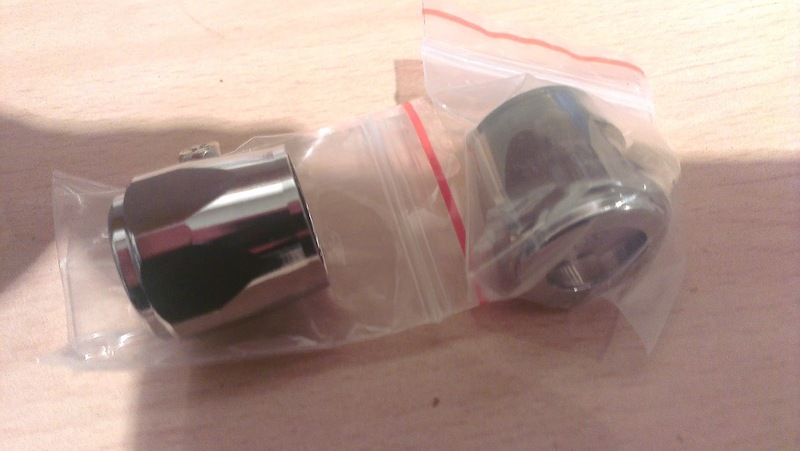 Be careful to order one with 15mm pipe fittings (AN-10) as a few (like the one pictured) are sold with only 9mm fittings. In the pack you also get a set of clips, a bracket with two screws and a length of pipe. Why they include a length of pipe, I don't know, as it's the first thing to go into the bin. The bracket is a little suspect as well, but it can be modified for our purpose. The clips would be kept as spares as I use braided hose. The catch cans come with two sets of tapped holes in its body. This means that you do have some adjustment in how it is mounted (in the picture you can just about see two holes in its 'side'), you also have some adjustment in it's lid (as it's round). As mentioned, there was some modification to the small black bracket supplied with the can. Basically it just needed the L shape chopping off and the now defunct carbon canisters bracket simply needed a hole drilling in it. The can was then secured to the bracket and a stainless steel clip placed around its body (although it probably didn't need this). Why do I use braided hose? It's a bloody pain to use (quite literally) but what price vanity? As mentioned use AN-10 pipe you will also need two AN-10 finishers (20mm for braided) for the catch can. For the actual Crankcase outlets you will need a size up on finisher as you will not be able to get an AN-10 over the pipe! In fact this was a bit of a 'oh' problem for me and I ended up using the original fittings of 24mm. The pipework is reasonably simple, you just insert the can in between the original breather hose exit. So pipe from crankcase to can, from can to breather (An open system). As you can see it all fits, just. If nothing else it was an interesting and possibly fiddly job to do. You are such a petrol head!